I’m pretty sure I open every Friday’s post the same way, so why stop now? This has been a much better week than last and extremely productive, so I’m looking forward to carrying that into the weekend. Plus, Ryan and I get to spend a whole weekend together for the first time in three weeks, so I’m happy I get to spend some quality time with my man. Wherever you are and whatever plans you have, I hope you have a great weekend! Here’s some highlights from my week. 1. I’ll be getting my inspiration board and proofs for my virtual assistant website tomorrow! The beautifully-talented Aubrey Kinch is handling that part of things, and I can’t wait to see what she’s come up with. I’m just thrilled everything is finally coming together, and I can get going on marketing and advertising my services. 2. On my way into Iowa last weekend, I stopped at my friend Jenna’s place first to see her and her new puppy, Oliver! This sure fueled my puppy fever even more. 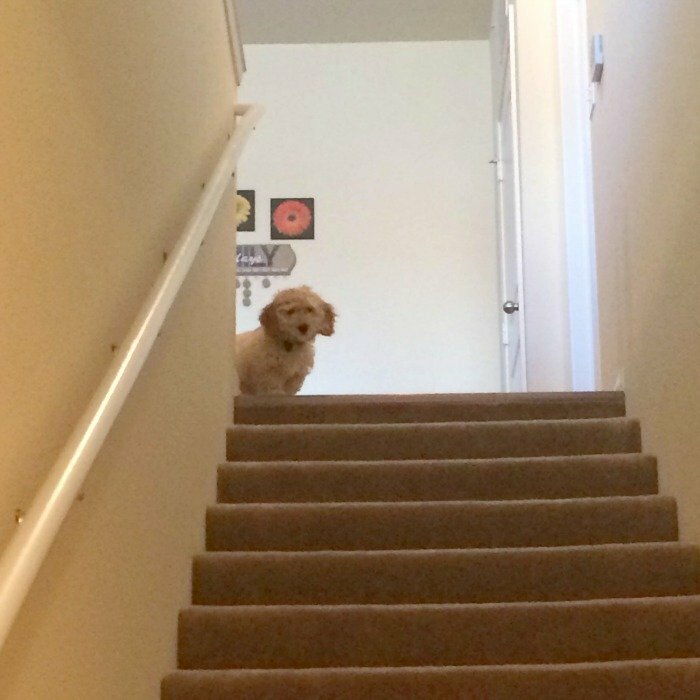 He was the sweetest – he even came to say goodbye to me from the top of the stairs. 3. Ryan surprised me with a dozen “just because” roses when I got home Sunday. I have to laugh a little that he said they were for no reason because I really think he just felt sorry that I *ahem* wasn’t feeling so well from the bachelorette party. The colors remind me of the sunset, and they look beautiful on our dining room table. 4. Target Monster Trail Mix. ‘Nuff said. I literally cannot get enough! 5. This post wouldn’t be complete without a bunny picture, now would it? 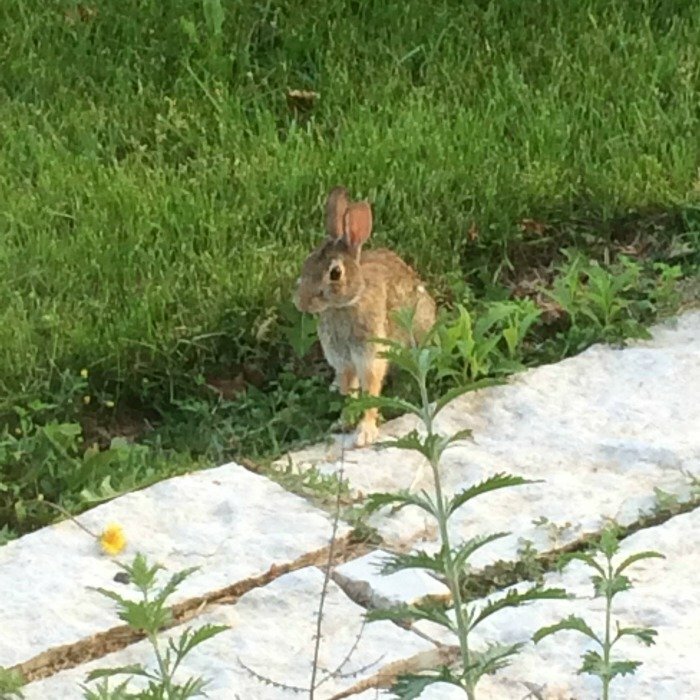 I swear I’m like bunny paparazzi. This is Penny while she was exploring around the walkway in the front of the house. I just love how close they get to us now without being scared. Trail mix is the bomb. That dog, OMG I don't even want another dog but I want him. I'll take that lil bunny too 😉 Those roses are some of the prettiest I've ever seen! Have a good weekend! Right?! Oliver stirred up our puppy fever, and we (fingers crossed!) may be adopting one in a few weeks … just waiting on approval from our landlord. Hope you've had a good weekend! Thanks lady, hope you've had a good weekend. You need to get that trail mix asap. It's life changing, lol! You are the sweetest! Thank you for your kind words. I definitely will be checking out your blog. Happy Sunday! Right?! And, my roses are still going strong, I can't believe it. WOW those roses look amazing! And omg that trail mix is the absolute best! SO addicting!! The bunny pictures crack me up! We have several at our house, but with our dog they don't venture too close to us. Sadly, a few weeks back we even had a homicide on our hands… Not fun! Okay, well enough about that. Have a great weekend! I haven't had trail mix in forever but now I want some! And those flowers are so pretty… how sweet! Have an amazing weekend doll! Yay for getting your inspiration board, how exciting! The flowers are beautiful, enjoy your weekend together with your hubby! Bahaha, let's face it – isn't that why we all love trail mix?! 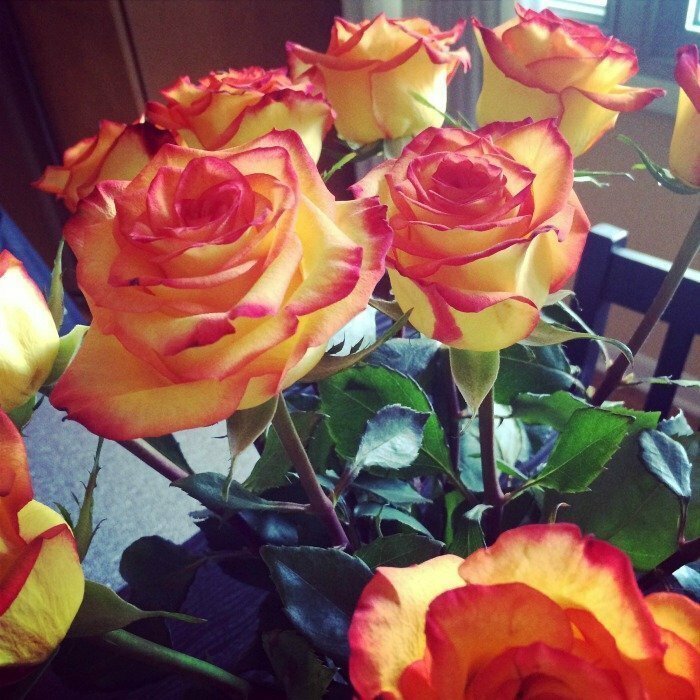 The mister always does a great job of finding me unique roses – he never settles for ordinary! It's so good – I have to control myself around it! 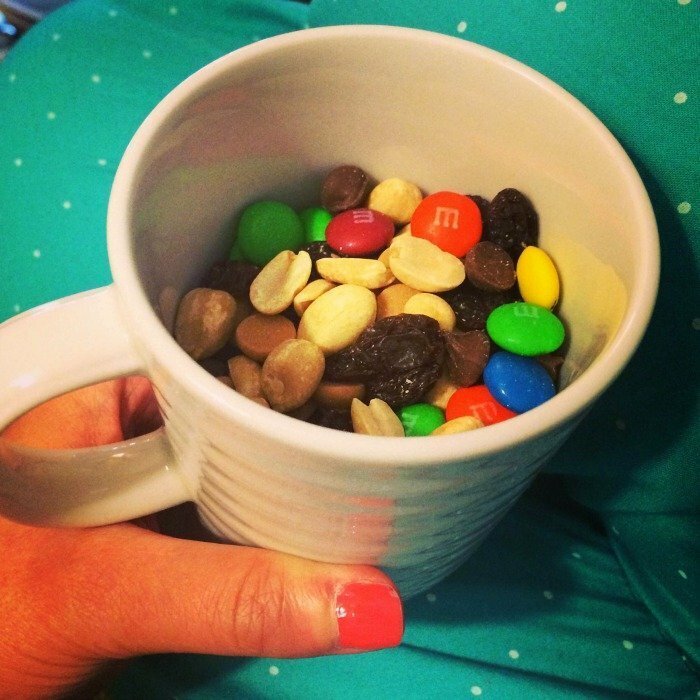 I love trail mix – mostly because I just love picking the M&M's out lol!! Can't wait to see how your website turns out and those roses – beautiful!! So glad you had a good week this week! Those roses are so pretty & love the bunny picture too! I can't wait to see how everything comes together for your VA website! So exciting! Hope you guys have a great weekend! So happy you had a better week! I agree, that Monster Mix is addictive! Love the pics of Oliver and Penny!